The Secret Dreamworld of Shopaholic book was originally published in 2000 and also known as Confessions of a Shopaholic. The series of books was written by the author Sophie Kinsella and they were a major ‘noughties’ book success. The title book was turned into a film starring Isla Fisher in 2009. Technically this post includes spoilers – but as the books are nearly twenty years old and the film almost 10, I don’t really think that counts. Anyhow, I happened to find the film on TV this evening, and whilst I read the books several times, it was a very long time ago and I’m not sure if I ever saw the film. I read the books long before I was ever in debt, and they hadn’t even crossed my mind since. 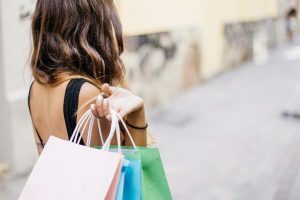 In the story, Becky Bloomwood has a major shopping habit, with several thousands of dollars of debt over many credit cards. She was living her life hiding her head in the sand (an approach I know well). She didn’t even realise she had a problem. She lied to her friends and family, including her new romantic interest. She went to great depths to hide her debt from almost anyone and everyone except her best friend – even telling people that the debt collector who was trying to track her down to clear her debts was a stalker ex-partner. Her irresponsible spending, whilst really her own making, were also her undoing. She nearly lost her best friend and love of her life over her lies. Her parents offered to sell their motorhome (which they had spent their savings on) in order to bail her out, but she wouldn’t let them. She was being pulled in so many directions and was often torn. She “needed” to spend money on a new outfit for a work appearance, but also was expected to spend money on a bridesmaid dress for her friend’s wedding. She ended up (in the film at least – it’s been a while since I’ve read the books) being humiliated on TV by the debt collector and her lies unfolded in front of her. She’d chosen to keep the dress for the TV work appearance, and had lost the bridesmaid dress, so she lost her friend over it, and was falling for her boss who was with her when she was outed. She had only taken that job, as she wanted to get a job with another magazine publishing company under the same umbrella (to do with fashion – which clearly was a great love). After this all came out, the boss of her dream magazine came and offered her a job! She was delighted! Her dreams were all coming true. That was until she realised that she would be promoting totally unaffordable fasion under the title “affordable”. The chief of the magazine said not to worry and the prices would be printed in really small writing – and after all “that’s what credit cards are for”. The penny finally dropped! She was being offered her dream job, but she knew she couldn’t take it. That’s not what credit cards are for, and she didn’t feel comfortable promoting that lifestyle, the one that had lost her so much and caused so much heartbreak and embarassment. Becky turned the job down and sent her on her way. Instead of taking a handout, she sold all her belongings, and swapped some items for the bridesmaid dress and made it to the wedding after all. Thankfully her friend forgave her. She paid off all her debt to the mean debt collector (hilariously in coins – I wish I’d been able to do that). Her love interest found out that she had sold all her goods and hunted her down. She had inspired him in ways he hadn’t imagined. Now, I’m not saying, that if you get out of debt you will have a hollywood style happy ending, but having been through the debt journey myself, I actually related with Becky in a lot of ways (although she was clearly ridiculously deluded and irresponsible as well). She was ashamed and embarassed – I could relate to that. She hid her head in the sand – I could relate to that too. She didn’t know where to even start – I could also relate to that. 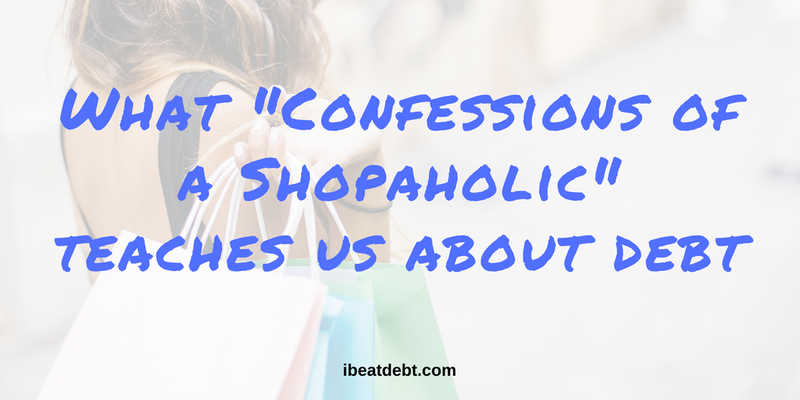 Once she put her mind to it – she cleared her debt really quickly – again, I related to that. 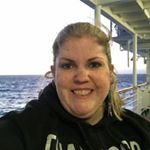 Facing up to the problem and getting out of debt was the best thing that Becky (and I) did. 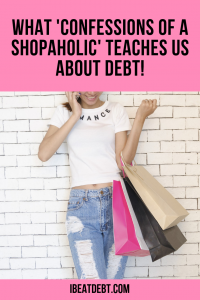 I know for some people – getting out of debt quickly won’t be an option and I don’t want to alienate you if that’s the position you find yourself in. In the book Becky was helpless, hopeless, clueless and a whole other range of emotions which you are probably feeling if you are in that situation. Her friend who did know about the debt tried her best to help her and until she betrayed her with the dress, was really supportive. She only wanted the best for her friend. That’s what the vast majority of people in your life would want too. The more people who knew about her debt, the more help and support she had and therefore the easier it was to deal with. Those are really important thing to remember if you are struggling with debt. The book (and film) show that talking about your debt isn’t a bad thing and until you face up to it and start dealing with it, it won’t go away. Like the hideous debt collector that Becky had to keep avoiding and hiding from, it will be there. You will be living every day looking over your shoulder waiting for it all to catch up with you. Most key of all, the person who is judging you the most will be you! No-one Becky told judged her – they were disappointed that she had lied to them, but they weren’t critical about the debt. Should you find yourself in a situation like this, where you are struggling with money, you can contact Money Advice Service to get free money advice from an organisation set up by the government. Should debt management be a possibility, you can go through them, or straight to an organisation like Christians Against Poverty who helped me. Just remember that there are plenty of free debt charities and you should NOT pay for debt advice. Be like Becky – face up to your problem and deal with it, because it might not be a Hollywood ending, but it’ll definitely be a happier day to day if you do!